This article explains the top10 wonderful benefits of agarwood tea and how it will effect on human body. Agarwood Tea is one of those members of the beverage family that offers a lot of health benefits. Derived from the Agarwood tree, which is ambient in the South East Asian sub-continent, the Agarwood tea is also called as the Oud Tea. The wood derived from the tree is also used to make one of the most expensive essences, carved tablets, and various other things. The Oud Tea is drunk as a herbal tea and is enjoyed by a lot of people around the globe. The tea is made with the leaves of the Oud tree and is one of the best natural herbal teas that one can include in the daily regime. The Various Health Benefits of Agarwood Tea are as Follows. The human body produces a lot of toxins on daily basis and all of them cannot be removed on their own. They tend to accumulate in the human body over the time and lead to diseases. This is why a lot of people have recently included the detoxifiers in their daily life such as herbal teas, lemon water, honey, and various other natural detoxifiers. Oud tea is one such wonderful detoxifier that can remove toxins as harmful as the Mercury from the human body. The Agarwood tea produces a calm effect on the whole human body and mind. Its herbal formulation is very beneficial to calm the nerves and mind and the tea can be taken regularly in the evening by the people that have crunching daily routines. If you are a party person and love to enjoy drinks from time to time, then you must know the feeling renowned in the world by the name of Hangover. The Agarwood tea is one the most wonderful hangover relievers that even cleanses out your system. Drinking a refreshing morning cup of the Oud Tea, will not only relieve you of your hangover but also cleanse your system and wakes it up from within. Though a lot of teas promise to reduce those extra layers of insulation on your body, they don't prove much effective. 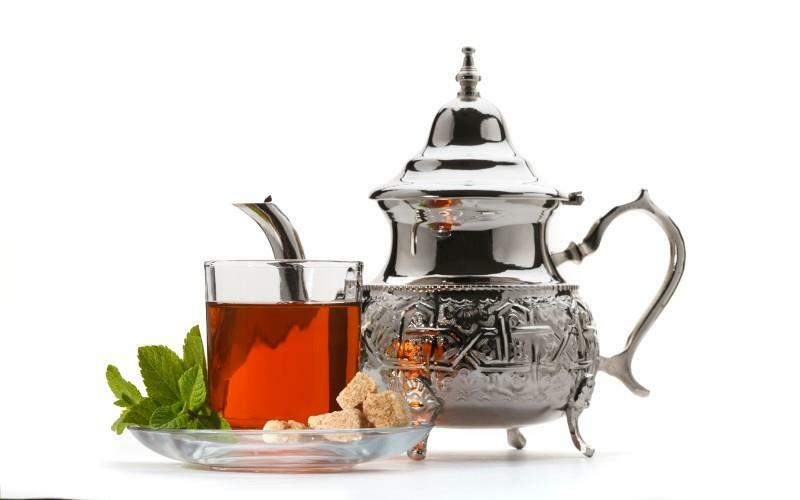 The Oud Tea, on the other hand, is one of those herbal teas that are really effective in reducing the body weight. These considered as one of the main benefits of agarwood tea. Drinking the Agarwood regularly provides a good dose of flavonoids that are very effective in dealing with the weight loss. Agarwood Tea is a rich source of natural detoxifiers that cleanse the human body of all the toxins and make your skin disease free. Such skin stays beautiful for a long time and stays resplendent with a glow that comes from within. If you are concerned about your skin and want to have one that remains beautiful without any artificial cosmetics, then Agarwood Tea is the best thing you can have. Benefits of Agarwood Tea includes it improves the blood flow and thus makes the human body disease-free and stronger from inside. Having a fully regulated and proper blood flow across the whole body not only ensures that all the body parts function well and get proper oxygen; it also keeps your body and mind fresh and energized. It improves the overall functioning of the brain, heart and other vital organs of the human body. The Agarwood Tea is devoid of any kind of sugar and caffeine which means that it can be very effective for stabilizing the blood sugar levels in the bodies of the people suffering from high blood sugar. Oud Tea is a natural stabilizer of the blood sugar which means that it is much better than the other artificial medicines used for the same purpose. Oud Tea has remarkable effects as far as the Digestive System is concerned. It cleanses the human digestive tract and keeps it functioning all well and good. The Agarwood Tea provides relief from a general cough and cold and is effective in dealing with other such irritations of the respiratory system. Drinking a cup of Agarwood Tea in night aids in having a good sleep as it has a calming effect on the human body. It also rejuvenates from inside and makes the human body free of all kinds of diseases. The Agarwood tea offers you so many reasons to include it in your daily life. Choose the one means to choose the benefits of agarwood tea that is your 'reason number one' and start taking this wonderful beverage for a life that is active, healthy and balanced. There are many natural materials which are herbal in nature and quite effective for the human body in one respect or other. Agarwood tea is one of such items. In Ayurvedic system as well as in naturopathy, there are many such items described and prescribed for toning the body in one way or other. For example, turmeric, basil, fenugreek, ajwain, asafoetida, green tea, ginger, cinnamon, black pepper, mint etc are said to be the established remedies for various ailments as well as are supposed to have many health benefits. In my opinion, these natural materials are definitely having some health benefits and they will help in keeping the balance of minerals and other antioxidants in the body but whether they are really effective as a drug for serious ailments is a matter for great research and study which is still undergoing in the scientific laboratories across the world. It is also said that if a person takes these natural materials regularly he will be free of the ailments. It could be true but seeing the present day pollution and adulteration in the market and the hygiene which people are keeping, getting ill or infected by some disease is a common thing and the efficacy of these natural items in avoiding ailments is badly thrashed.